Well, my January Whole 30 is over, and I did spectacularly! I felt great, worked hard, lost some serious weight, and busted some of my bad habits. My goal last year was to lose 20 pounds, and I was doing well up until the holidays, when I just bombed on my goals. Yikes. So far this year, however, I am already down 15 pounds, and I feel great! I'm motivated, making healthier decisions, and being more intentional about eating breakfast. Some might say I'm CRUSHING IT! Well, I wouldn't say that I have a "secret" per se, but I do have a game plan. Even though my Whole 30 is over, I am making a real effort to reduce added sugars and grains, since I know they make me feel sluggish and bloated. I am eating more vegetables, and in even more creative ways than I have in the last year. I am being smarter about how I'm fueling during athletic activity, which has really helped me with recovery. 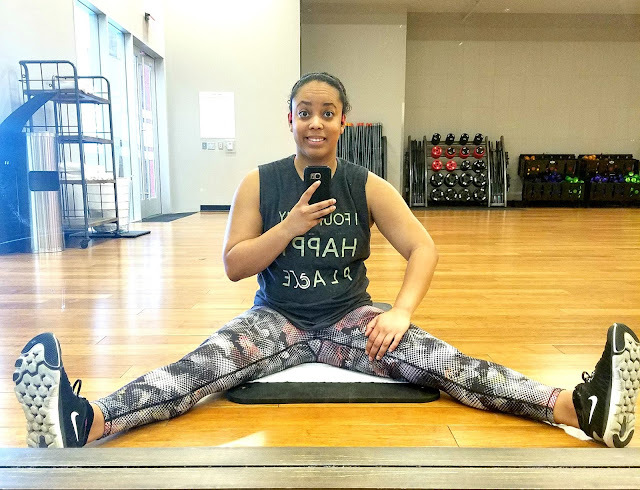 But you know what has helped me more this round of the Whole 30 than in my past efforts: Sneaking in 15-minute workouts on days where I don't feel like going to the gym, or even when I have some time before a game or after a workout. Saturday: I took a 1-hour indoor cycling class, and then practiced a routine I'm developing for another hour of indoor cycling. 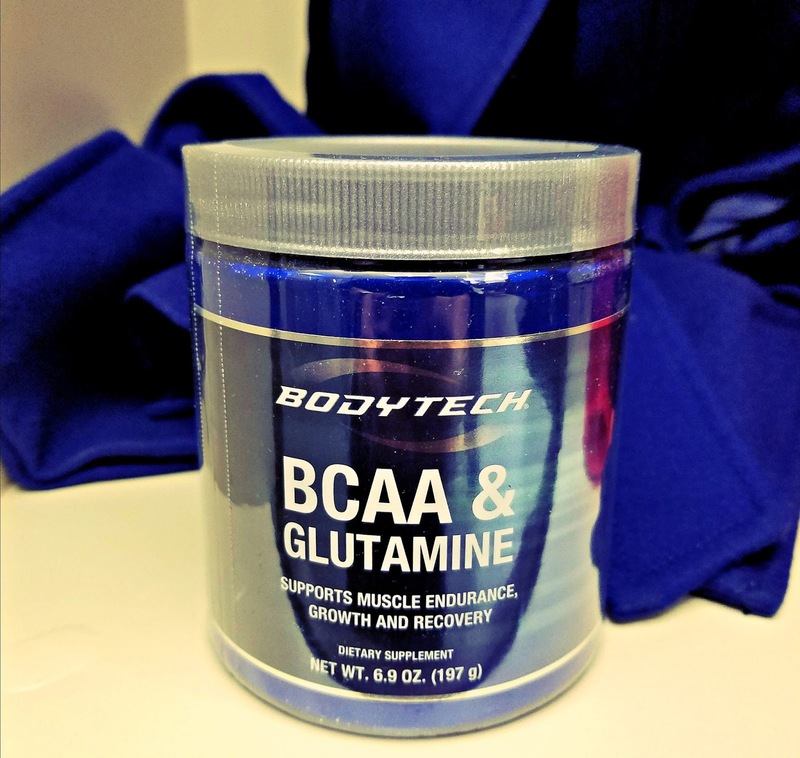 (Thank you BCAAs, from my muscles to your ears.) 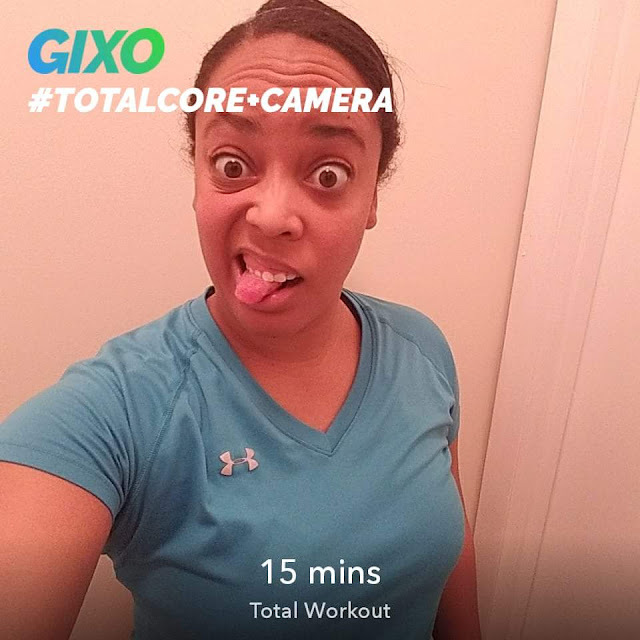 Afterwards, I went into the empty studio at the gym (all of the classes were over for the day), and got in a 15-minute core workout, thanks to the app. It was cool because nobody else was in the class with me, so it felt like I was in the gym with a personal trainer. That little cherry on top of my afternoon of indoor cycling was just what I needed. It was tough, but the core work has definitely helped burn some of that extra belly fat I'm still trying to get rid of! Sunday: All of that working out made me so tired today. I think that's what it was, at least. Who knows? But I spent much of the day being lazy and laying in bed, watching Agents of SHIELD. (I have a soft spot for Fitz and Mack.) When I finally got up and started my meal prep for the week, I booked a couple of classes on Gixo. My phone was having issues with the first class, but I was able to work my booty in the Booty Work class after I threw some chicken in the crock pot. Burning those calories helped me gain more focus, and I was able to crank out a few meals and start planning for the week ahead. So what's next for me? I'm going to try to be mostly paleo for the next month (nobody can make me not eat cheese on and around my birthday, dagnabit), and keep working on my core and strength training. I have started up physical therapy again, so hopefully that helps with my jacked up shoulder. (I'm still salty I can't do yoga.) I'm hoping to lose more like 5 pounds in the month of February, and think I that's an attainable goal. There's no way I'm losing another 15 pounds in a month at this point, and I don't think it would be smart or safe for me to even try. I'm all about setting realistic goals this year instead of setting myself up for failure. Are you hitting/have you hit any 2018 goals? Do you like at-home workouts? Have you ever done an elimination diet or Whole 30?